I first discovered these rules when I had my first game with Col o’Truth and Notorious Greg. I was sold on them in two turns of the Action Deck. And talking of Action Cards, that is the point of this post. 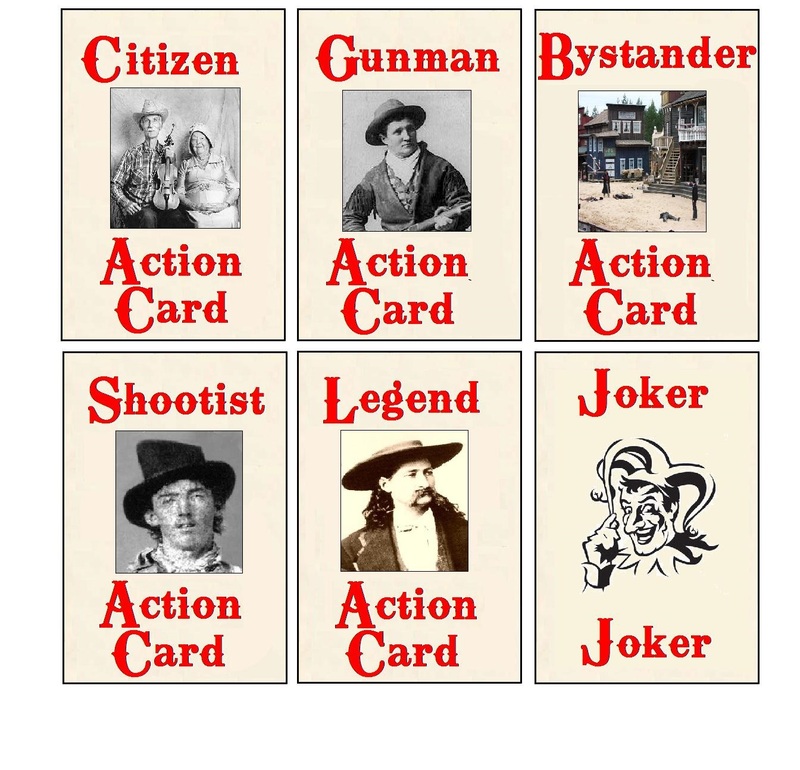 The game requires an Action Deck that contains a number of specific cards, as well as character cards for each model being used in the game. 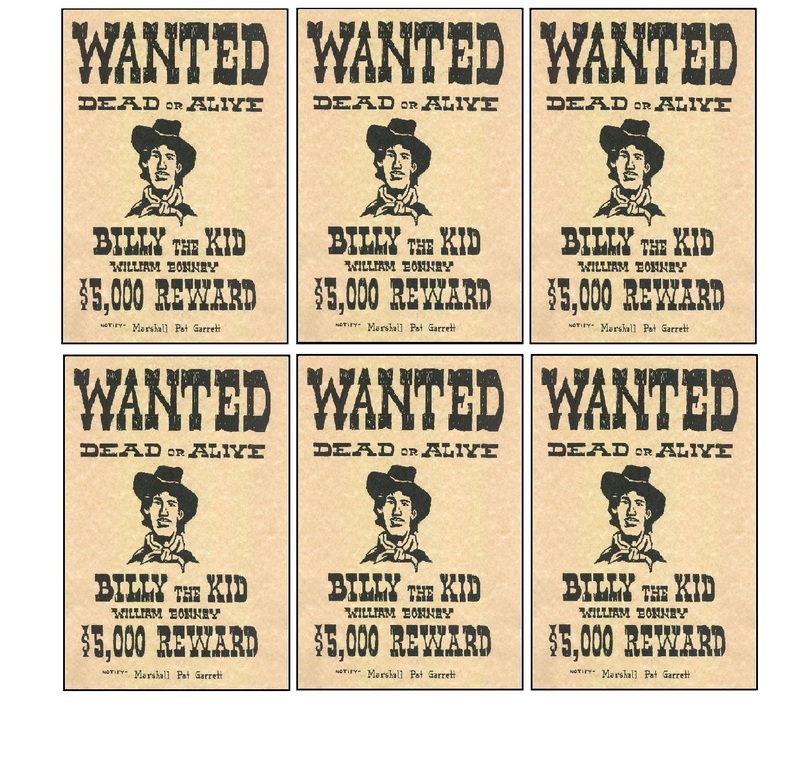 Here is a jpg file of my generic Action Cards. All my cards are sized to fit in a standard plastic card sleeve and are about the same size as a typical playing card. The Rules with No Name has special rules for Indians and Soldiers. 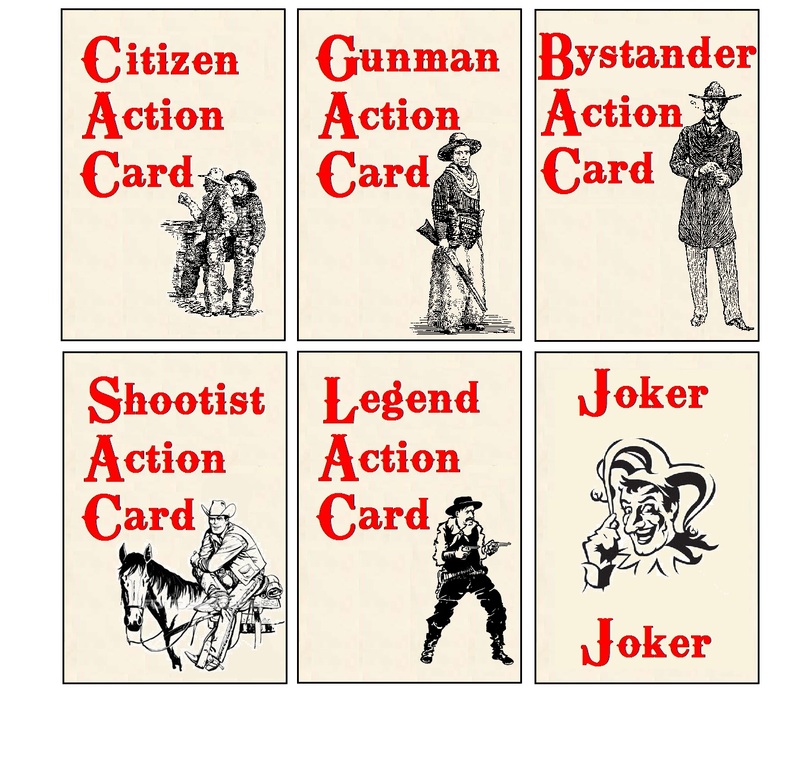 Indians get their own Special Action cards that can be used when fighting in their natural terrain (i.e. not in town). 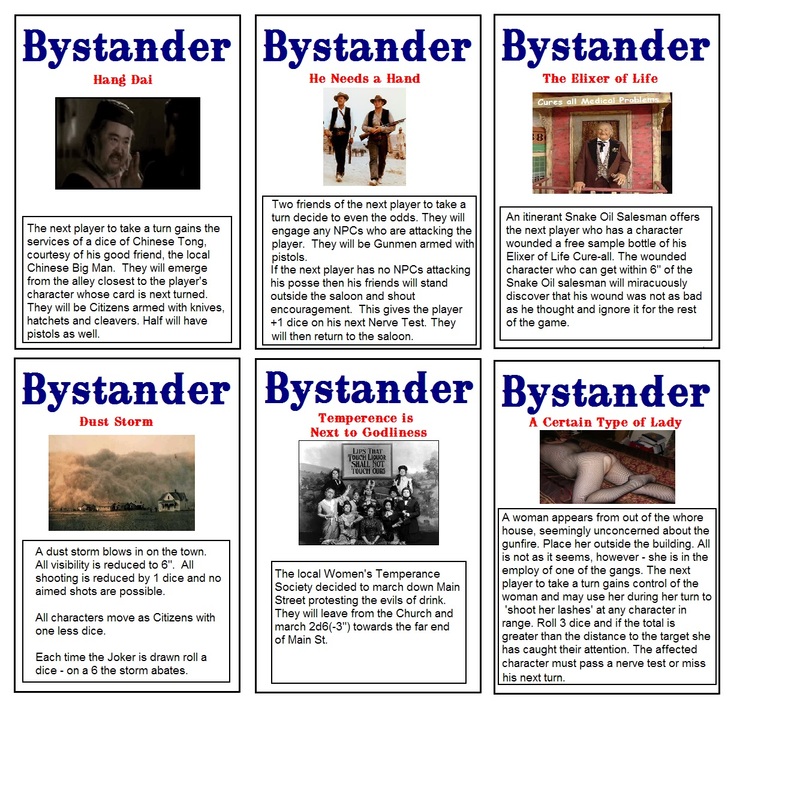 They can also use the standard Action cards above that correspond to their ‘class’. 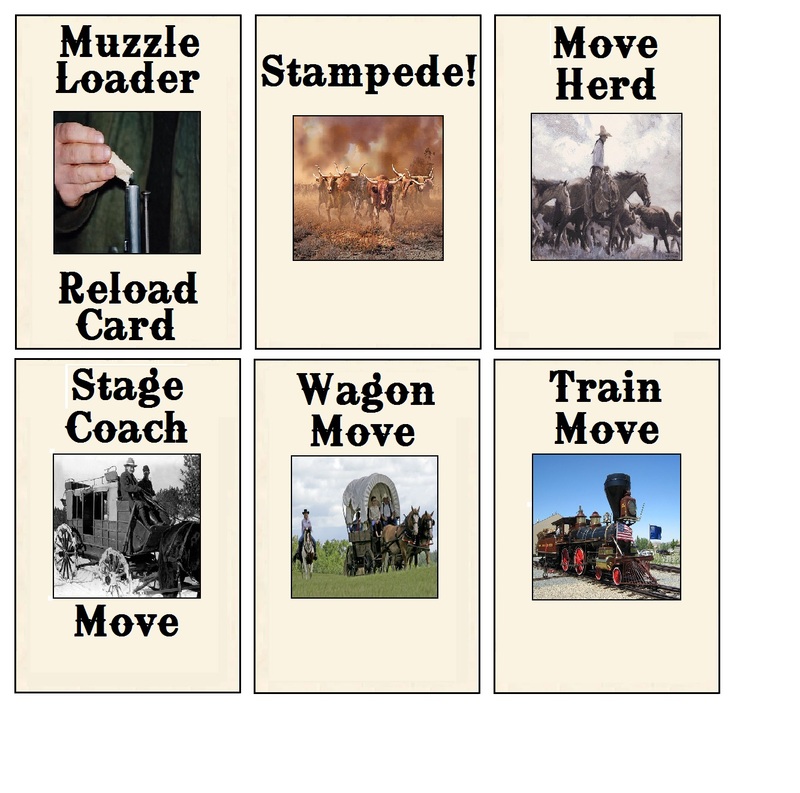 I have made a whole stack of other action cards that may or may not be used, depending on the scenario. 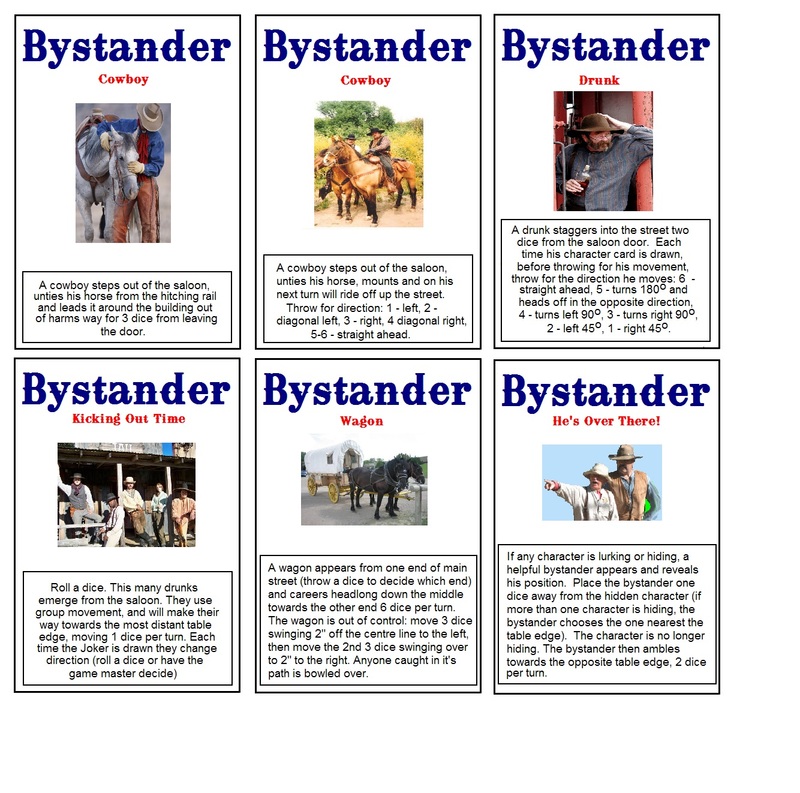 In my games when a Bystander Event Card is drawn I pull a Bystander Event from a special deck I have made. The following is a sample based on the Bystander Events on Page 133 of The Rules with No Name rulebook. These are more ‘character specific’ and correspond to models that appear in our games. 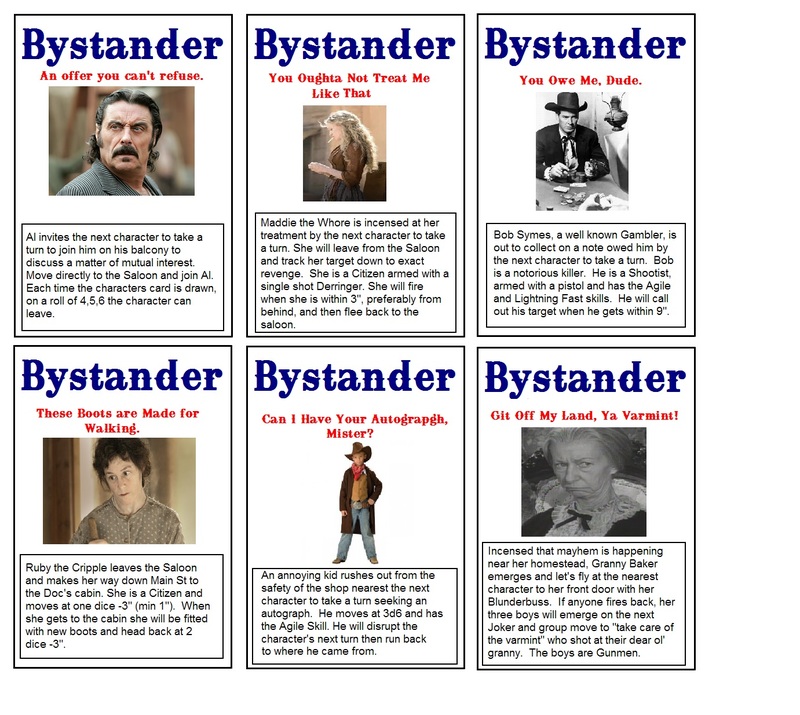 The Bystander Deck uses this alternate graphic to help me identify which cards go where. I also have a Drunk Deck that gets used occasionally if we have drunk characters on the board. I use a simplified rule set when dealing with drunks. On a 1-2 they draw a Drunk Card, on a 3-5 they Act as Wish, and on a 6 they Sober Up. 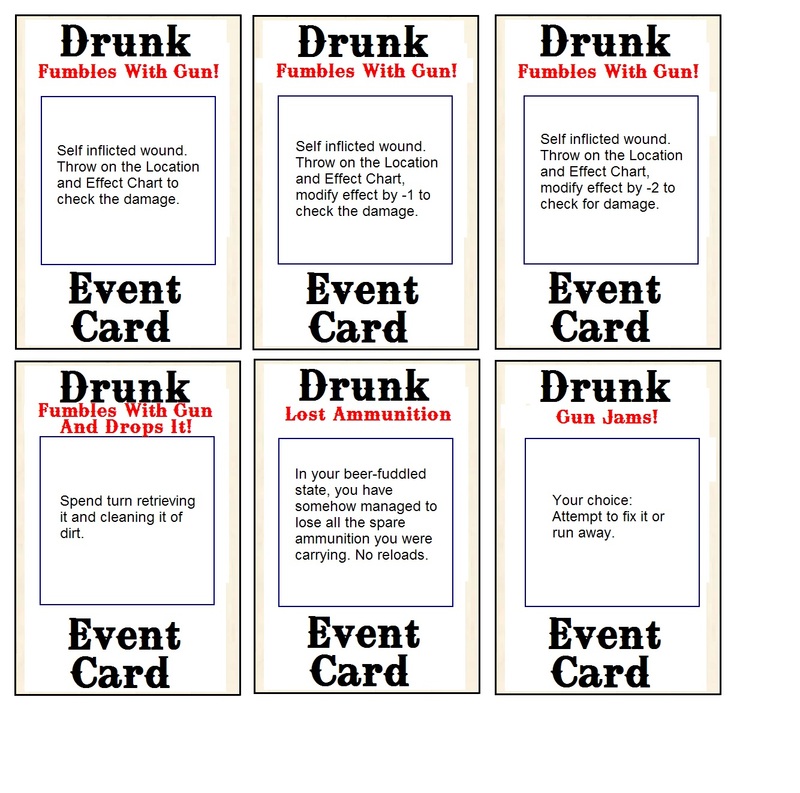 First off, some sample Drunk Cards. 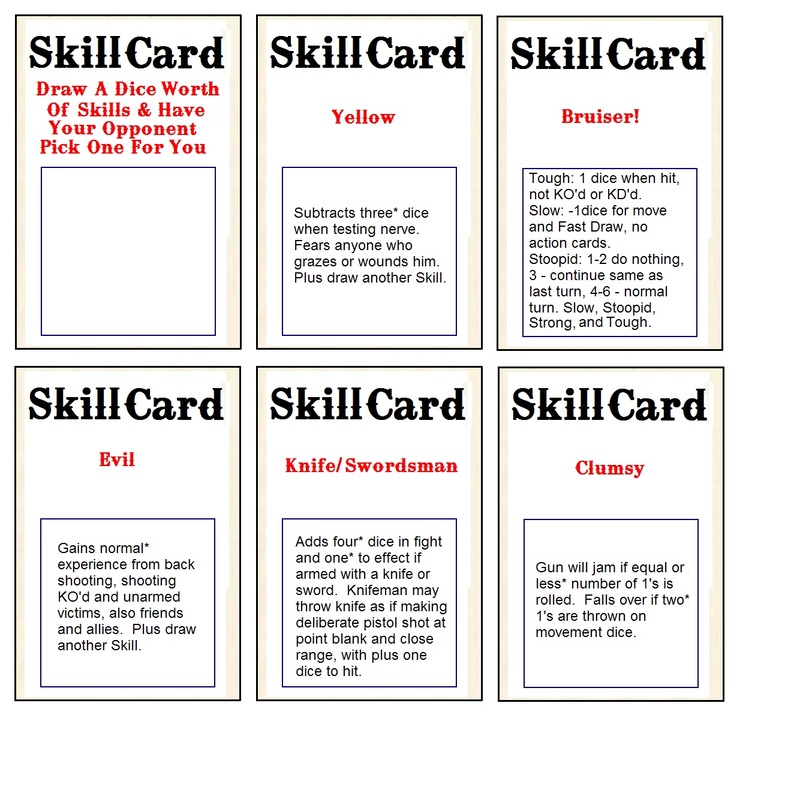 and the Backing sheet for the Skills Deck. 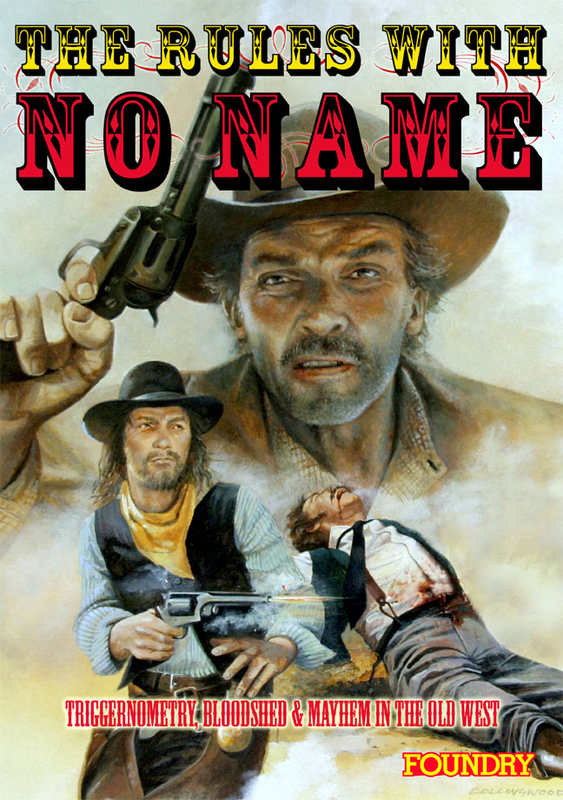 I hope that you find these useful as they are or as an inspiration for your own Rules with No Name Action Decks. Those are really nice. I love how you have captured a real western feel with the graphics and fonts you have chosen. 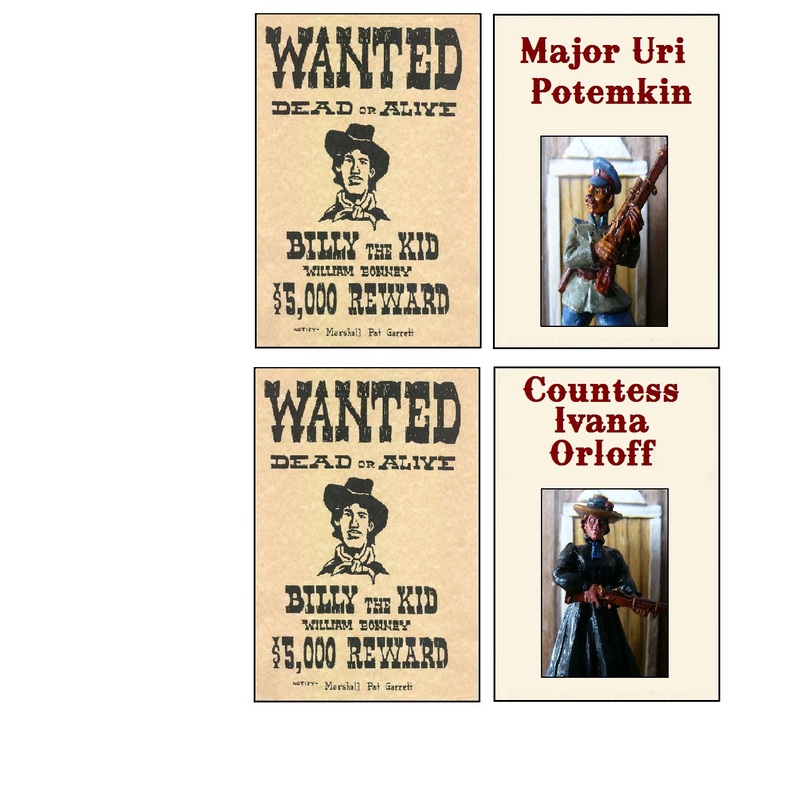 I have seen your Sharpe Practice cards and they, in no small part, influenced me making these RWNN cards. Thanks. Preparing things like these kind of counts as solo-gaming. Would you mind posting a link to download your cards? I am really interested in some of you special action cards. I have a number of skill cards a few environmental cards I could share? The originals are in BMP format so I will convert to JPGs and zip them into a single file. Give me a few days and will get it done. I would be happy to post your cards as well. The more the merrier, mate. Thank you! I’ll have to actually make some cards, as my skill cards are quick hand drawn cut outs. Johnny – I will put up all the cards in the next couple of days. Thank you. I’ve been mulling over the idea of how to add fire and smoke to the game. It would be fun to play a night game, with a full moon, and the derrick’s of an oil town catching fire. Not sure how to start fires or control their spread and the affect of smoke on line of sight. Any thoughts on the matter..
You could use a modified version of the simple rules I used on the “Dust Storm” Bystander Card above. Maybe 12″ visibility, no aimed shots under 6″, Everyone moves like a Citizen (i.e. they can trip themselves up on unseen obstacles). Yes, that will work, for smoke. I just need to come up with a chart for wind direction. Do you think a player ought to be able to move through fire without issue, or ought their be a chance of wounding. The bars on fire. Black Jack is standing inside drinking, and I am determined he isn’t going to go out the back door. I decide to enter and pass through a little arch of flame. Fire is spreading to the left, and the ceiling in a few sections is beginning to cave. Jack isn’t here. He must be on the the next floor. My foot falls through the floor. Maybe, turning around is a better idea. There are already rules for burning buildings so it is possible that this may be covered already. I don’t have the rulebook handy so cannot answer directly. As for wind, just a six pointed compass and a dice should do it – keep it simple. I have not forgotten about those cards I was going to post. I have just had a really busy weekend with work and have not really caught up with things. Page 57. I think everything you want is there pretty much. Page 57. Plenty of good smoke rules indeed. No rules for dealing with fire and character injuries, but the “water brigade” is covered. Do you have any custom rules you use? I have a skill called Killer Instinct. I’ve also added it feature to the Evil, White Night, Legend of the West, and Lightening Reflexes skills. If a character with Killer Instinct is shot by someone within 9,” they can automatically make a deliberate shot with a handgun or knife throw. This counter-fire shot takes place seconds before any hits might wound the player. That is a cool rule…I might include it. I had not crated any others. Might have to give that some thought. Another rule that I sometimes use is when a miniature is out of sight I take the miniature from the board and place two poker chips, at the miniature’s location. 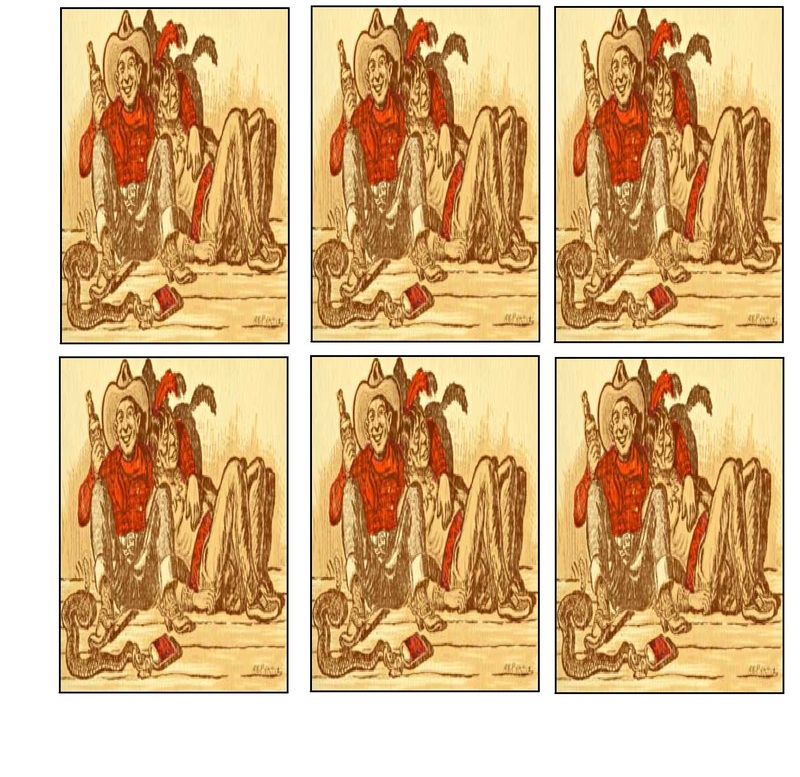 When that miniature’s turn is drawn I then move one, both, either, or neither of the poker tokens. If an opposing player ever has line of sight with one of the chips then either the bluff token is removed, or the miniature is returned to the board. If the bluff token is removed I place it again and repeat. 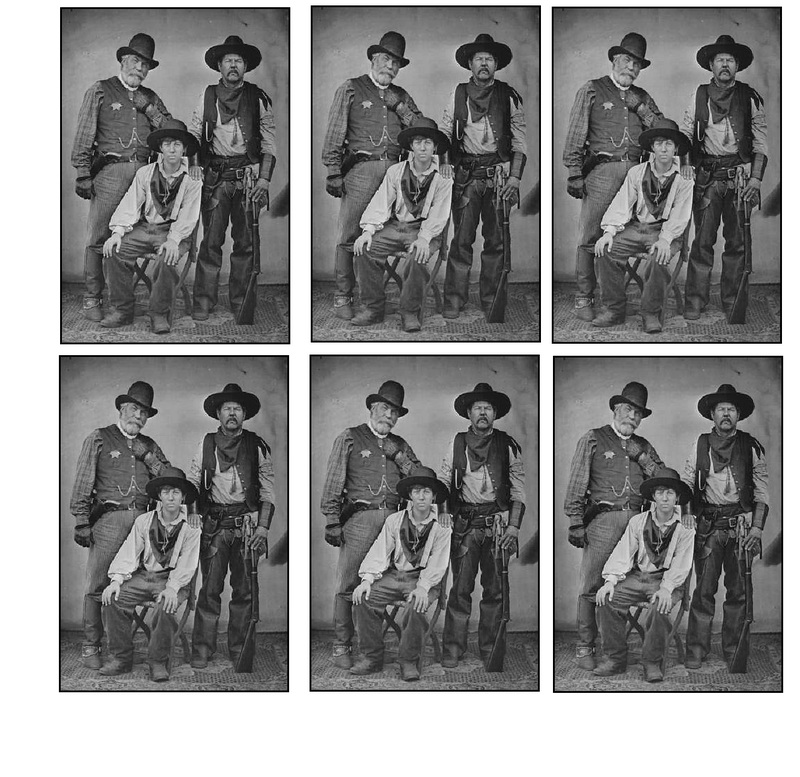 It is a fun way to capture some of the cat and mouse, like the end of Pale Rider. Still trying to figure out a simple way to start fires, control their spread, and determine how a figure can move though them with or without being wounded. 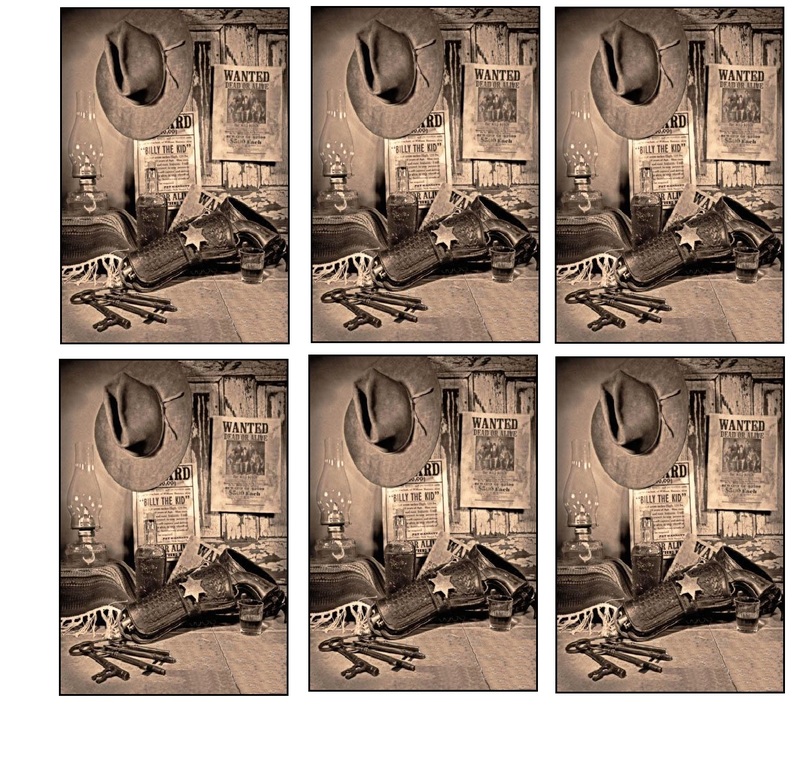 I want to capture the end of the Life and Times of Judge Roy Bean, or High Plains Drifter. I have a number of questions about your cards and how to make them. Is there an emai;l address where we can talk? You might find some of the questions worth posting here with your replies, and similarly, by taking it off-line, I’m not garbaging up your page. I’m considering adding specific gaming cards to our make-your-own-gaming-cards website at http://www.customstuff.co.uk. We post all over the world so if you want some pro quality plastic coated cards, shout up. I’ll be making a set of these myself (I love trwnn) with similar artwork and would be happy to share.